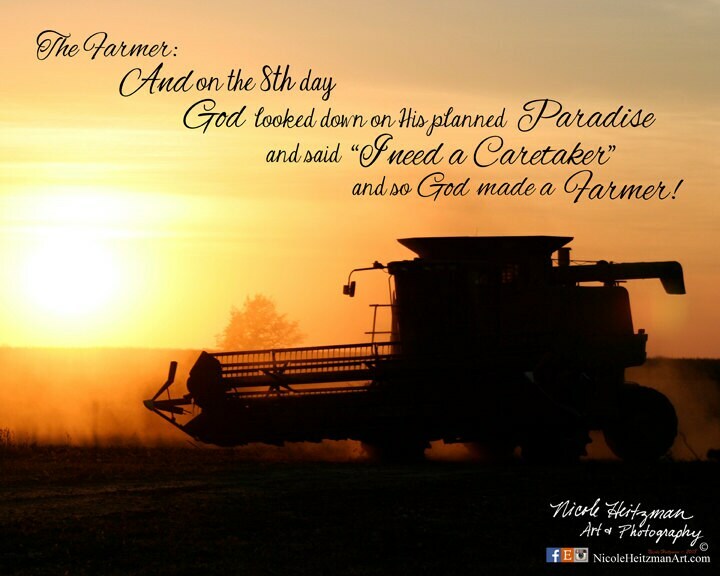 The image portrays the fall harvest in which many farmers work long days to get to this gratifying season. Nicole Heitzman of Parkston, South Dakota captured this image just before sunset during a beautiful fall soybean harvest. 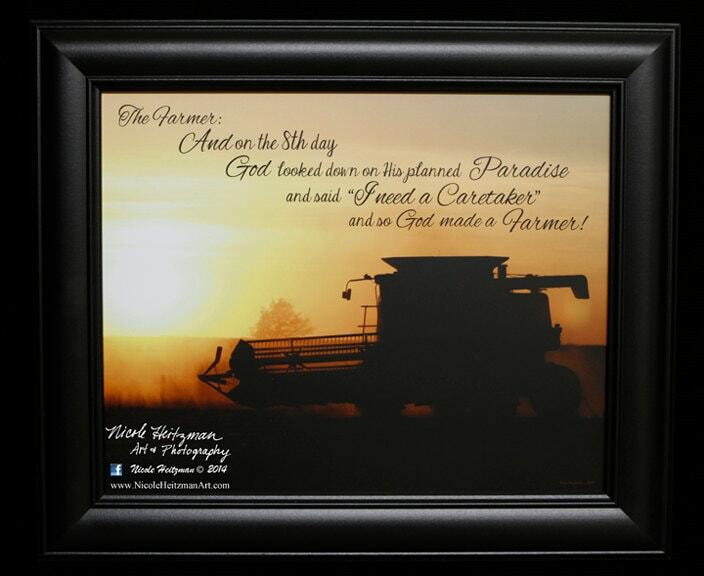 The image itself measures 20" wide be 16" high and is framed with a rich black frame. The outside dimensions measure 25" wide by 21" high. Colors may vary on the screen from the actual item. Other framing options are available. Contact Nicole for more information.